History In High Heels: 10 Things: L.A. I have been back from L.A. for a few days now. While I miss the hell out of Soulcycle, it is nice to get back into old routines (like Dunkin Donuts coffee lol). I really enjoyed my time out in L.A., although I really didn't know what to expect when I first arrived. I am glad I had over a month to explore, because I had no idea how massive L.A. is and how spread out everything of interest would be. Had I just been visiting for vacation, I probably would have been really unprepared for this and missed out on seeing quite a bit. 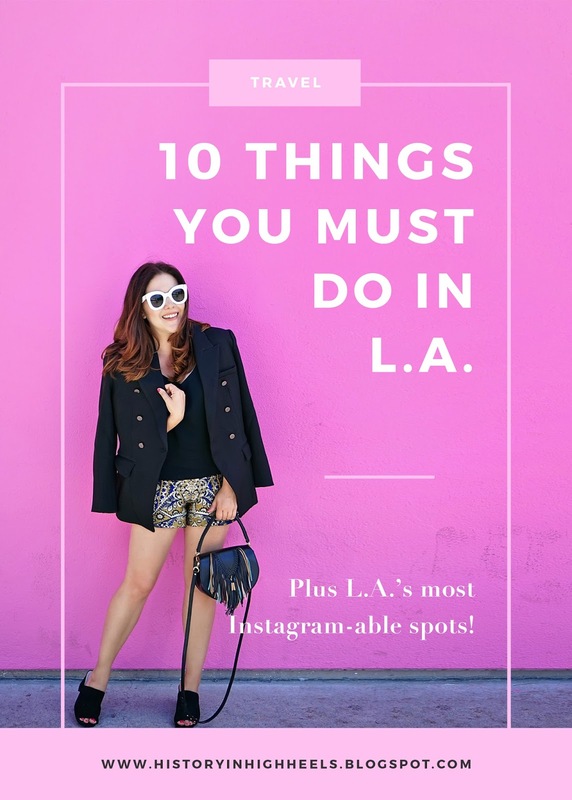 So, I thought I should share my 10 favorite experiences in L.A. to help others who plan on visiting and might be overwhelmed by L.A.'s vastness too. The Beverly Hills Hotel and Pool are a pink and green dream! The entire place is retro in all the right ways. If you can't afford to stay there, you can always go for breakfast and some pool-side lounging. Afterwards, make sure you visit Rodeo Drive for a little retail therapy. Silverlake is the "hippster" area of town. This up and coming are is full of stylish coffee shops (like Alfred) and hip eateries. Don't miss the adorable Micheltorena stairs. 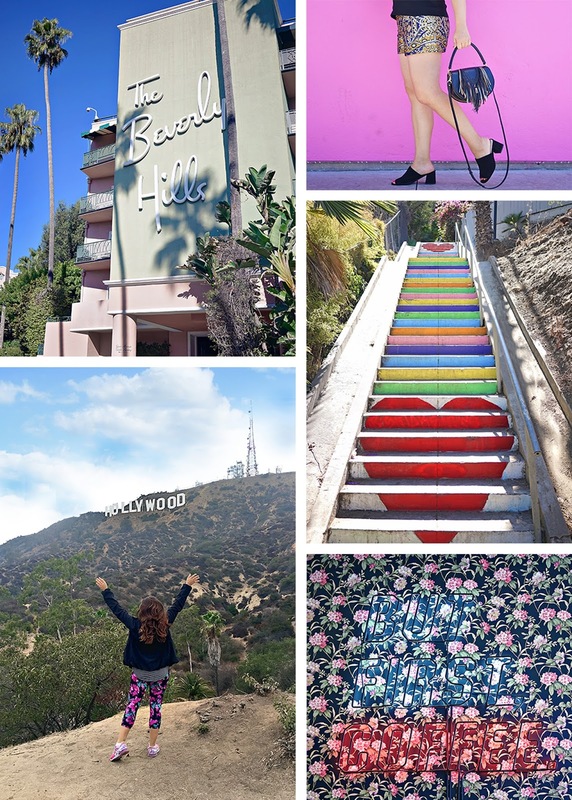 Melrose is full of insta-worthy photo ops -- the famous pink wall at Paul Smith, Alfred Tea, Alfred Coffee, and the Made in LA mural, just to name a few. This area also has great shopping! Speaking of shopping, the famed Grove is another important shopping stop. Plus there is a yummy farmer's market to refuel at.